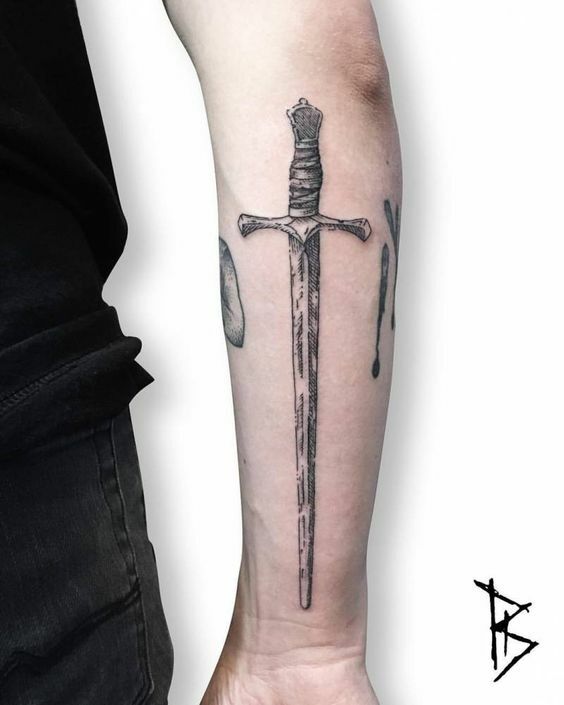 Sword tattoos have always been one of the most popular traditional designs. 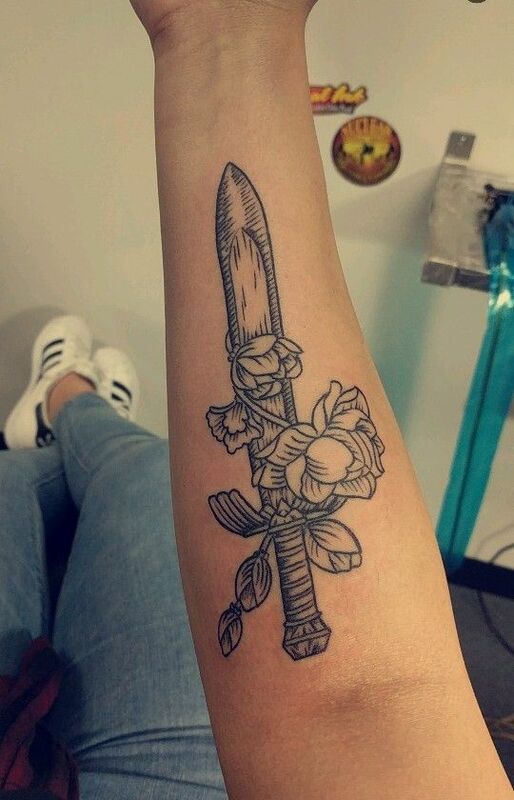 You can find a sword design at almost every tattoo parlor. Of course, apart from the fact that it looks cool, it has a lot of meaning too. 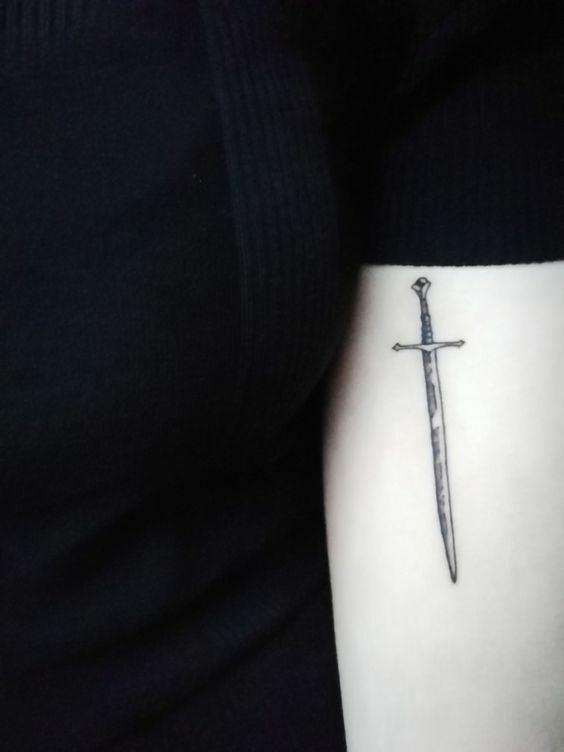 Keep reading if you want to find out more about sword tattoos. 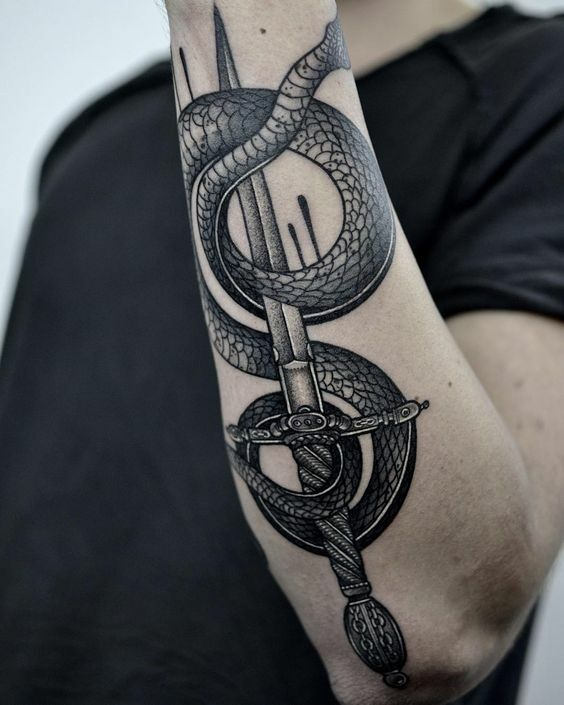 We have also collected an incredible collection of sword tattoo pictures. 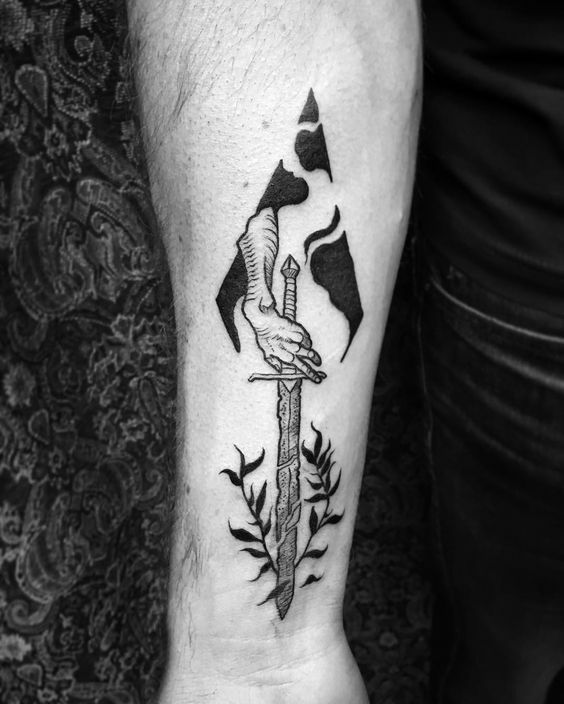 What do sword tattoos symbolize? 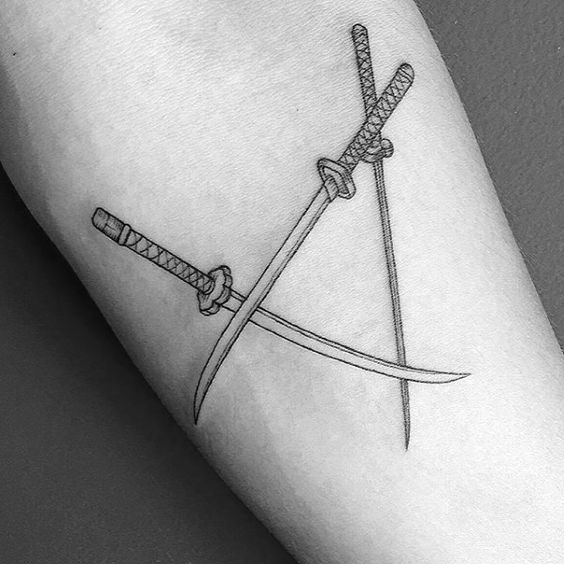 Though we don’t use swords anymore, they are still a ubiquitous symbol in today’s world. You can’t talk about the honor, bravery, and courage of the ancient knights and warriors without mentioning a sword. However, besides these visible symbols, a sword has many more meanings. Also, there are lots of different types of swords with different shapes and different ways of usage. This variety gives you a lot of different options when choosing a tattoo. So, as we’ve mentioned earlier, swords have been and still are an important symbol. One of the cultures that use the sword symbol a lot in Japan. Japan even has its type of sword – Katana which was the primary weapon of the ancient Samurai. Katana is a symbol of honor, power, and strength. When the Samurai had to end their lives, they used their Katanas to stab their bellies. Another type of a sword is a dagger which is a smaller version of a sword that usually comes along with it. The Roman emperor Julius Caesar was stabbed 23 times with it. Thus it became a symbol of betrayal. It is also a symbol of defense, courage, and determination. If you consider yourself a fighter who never gives up, a two crossed swords are a perfect choice. It is a symbol of endurance that symbolizes fight to the death no matter what. However, a sword can have an entirely different meaning. For example, a broken sword means a defeat and surrender. Though it is up to you where you want your tattoo to be, there are trends that you can follow. 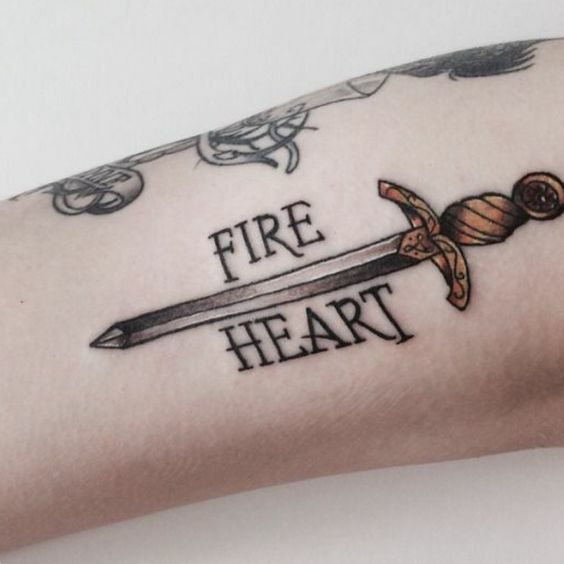 So, the most popular body parts for sword tattoos are legs, arms, and chest. Legs and arms itself have lots of options. 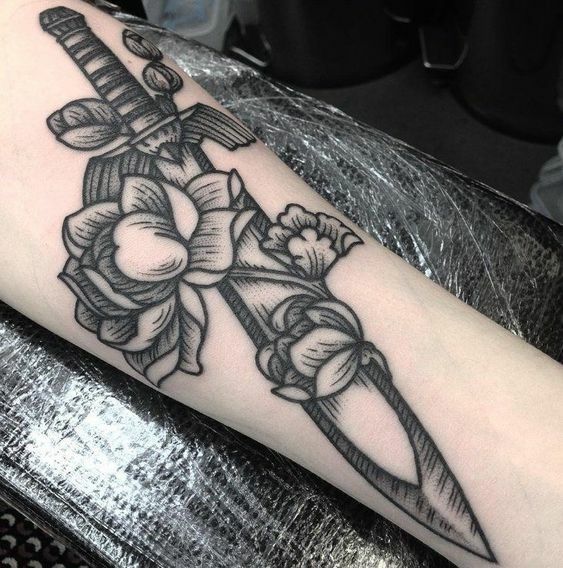 For example, it will look great on both shins or calves, both thighs or both forearms. Daggers will perfectly fit on your hands, wrists or fingers. 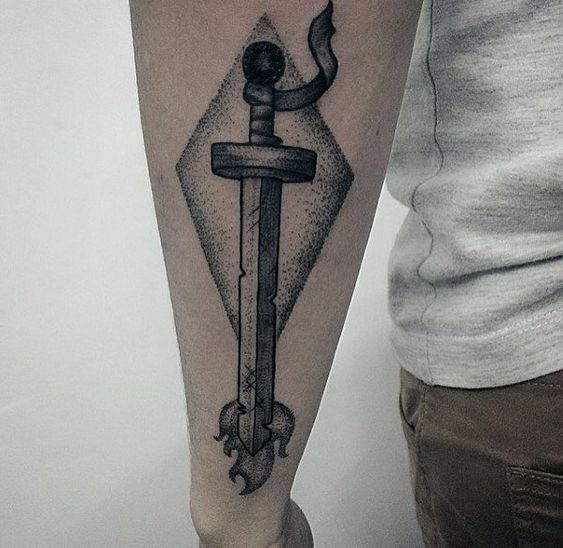 Also, a mid-sized sword tattoo at the center of your chest will look insanely attractive. 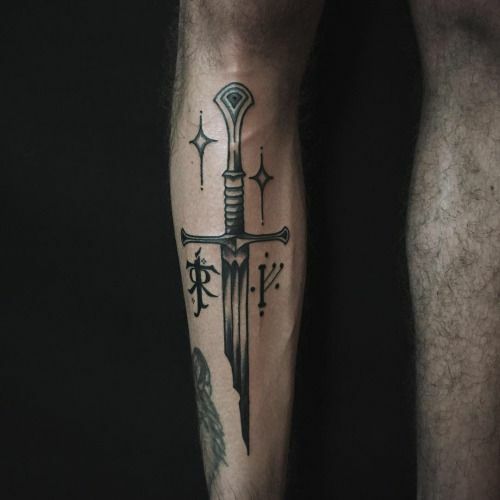 There are numerous options for sword tattoos. To begin with, choose a type of a sword you like the most. 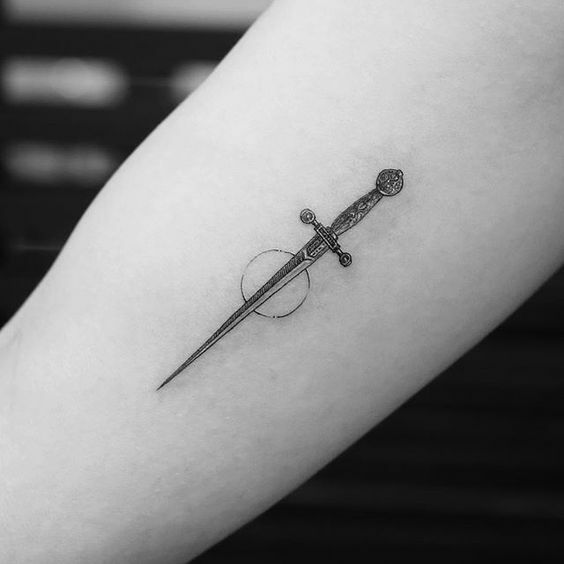 Then, decide whether you want a plain sword tattoo or together with the other symbols. 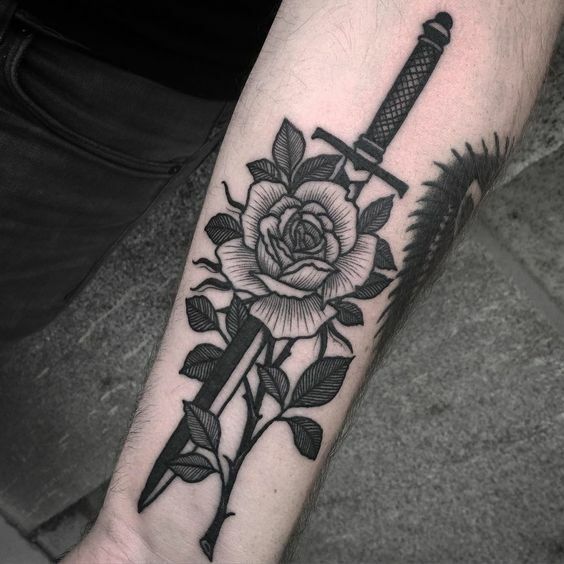 Usually, traditional sword tattoos go along with flowers, hearts or skulls. Finally, select the colors of your tattoo. We recommend getting a black design which you’ll be able to color later. 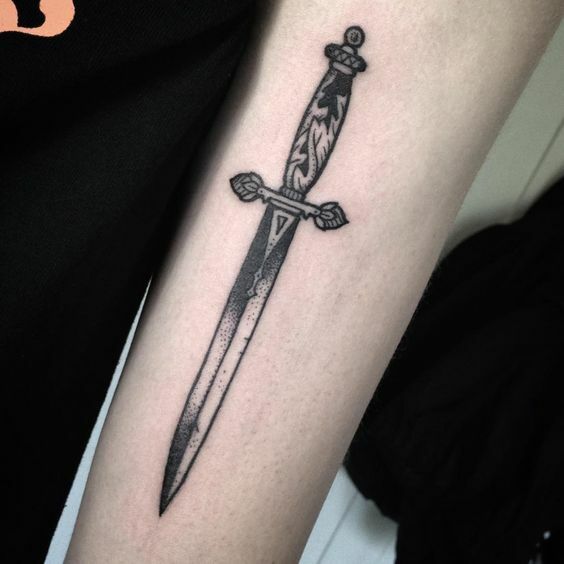 If you want your tattoo to be unique, collect the ideas and take them to your tattooist. Tell your artist how you imagine your tattoo and ask him or her to make some sketches. Finally, pick the best idea and get ready to ink!